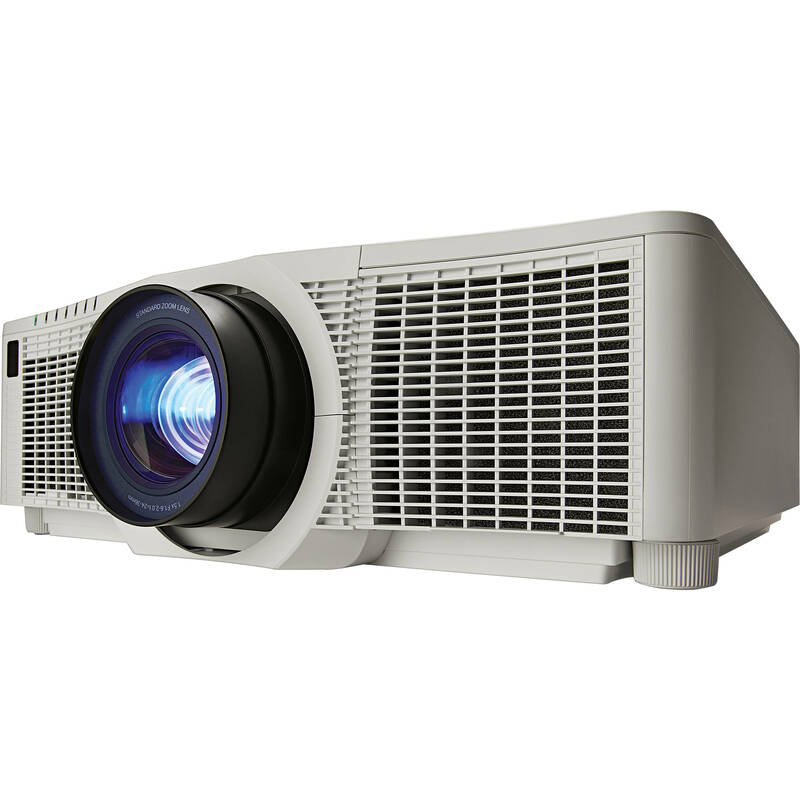 The white DXG1051-Q 1DLP Projector from Christie offers edge blending, geometric correction, and a portrait mode. It features dual HDMI inputs, a status monitor display, and motorized zoom, focus, and lens shift with memory. There is an XGA resolution of 1024 x 768, and a contrast ratio of 2500:1.